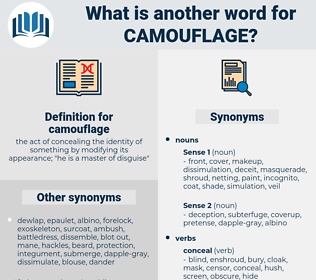 What is another word for camouflage? 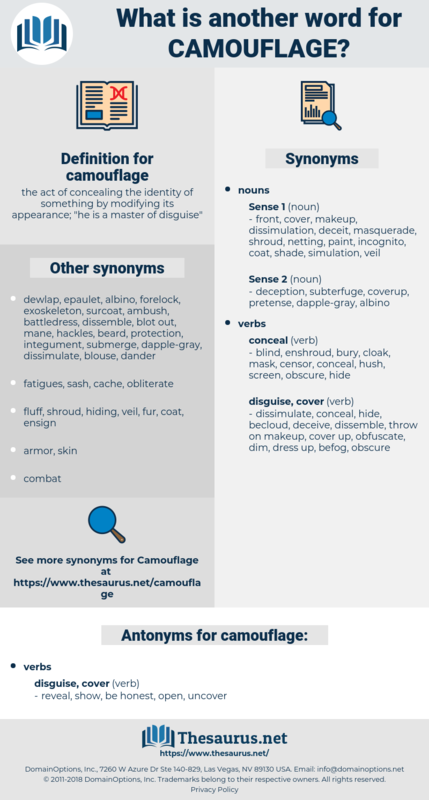 the act of concealing the identity of something by modifying its appearance; " he is a master of disguise"
conceal, hide, Hid, obscure, dissemble, shield, bury. reveal, show, be honest, open, uncover. The truth of the matter is, of course, that the Pan - Germans were thinking in terms of nationality instead of race, and that they were using pseudo - racial arguments as camouflage for essentially political ends. Its camouflage would not hold him long.